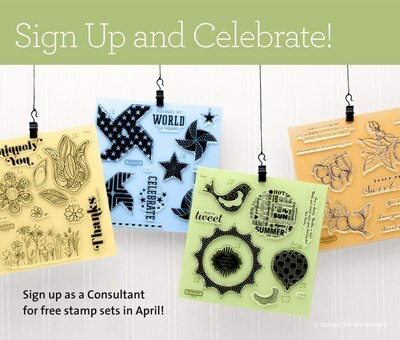 Scrappin' with Shalana: Sign Up and Celebrate!! I would love to have you join my team. Become a CTMH Independent Consultant in April and get the 4 stamp sets below in addition to your kit. Want to know more ask me how... or sign up here.